A socially awkward teen comes into possession of a possessed Plymouth Fury. It may not be Carpenter's greatest work, but as a horror film that values solid storytelling, developed characters and a slow build-up of suspense it still puts paid to the hush, hush, bang, bang approach of most modern horror cinema. Coming after the failure of The Thing at the box office (it still feels impossible to believe), the allure of a Stephen King adaptation must have seemed a great way for John Carpenter to get back on track. Coming off the commercial and critical hits of Carrie and The Shining, a King adaptation must have seemed as close to a sure thing as possible. 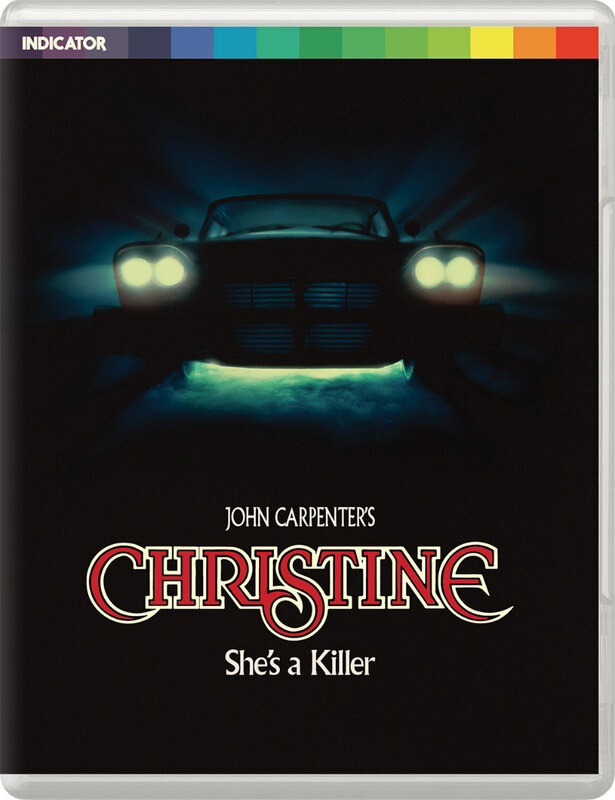 Unfortunately Christine was released during a glut of middling adaptations of the author's work, with only this and The Dead Zone being relative stand outs. It helps having two directors who know horror like the back of their hands. Essentially a remake of The Nutty Professor in horror clothes, this sees uber nerd Arnie Cunningham (Keith Gordon) develop a symbiotic relationship with a rundown Plymouth Fury that has a somewhat chequered past. As the car is gradually repaired, Cunningham makes an abrupt turn from dud to stud, wooing Leigh (Alexandra Paul), the new girl at school whom everyone including his only friend Dennis (Dean Stockwell) seems to be after. Paul is somewhat hampered as the object of affection by wardrobe choices that include shorts that look like they were stolen from the set of ‘70s sit com It Ain’t Half Hot Mum. 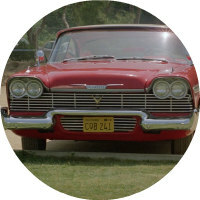 The original novel is a bloated beast that is ghost story, possession and killer automobile meets American Graffiti chucked into a blender with King's craft and way with folksy dialogue keeping it together. Carpenter streamlines this and focuses on the car. A prologue leaves us in no doubt that this is the source of evil, offing anyone who mistreats or vies for her affections. It has all the usual economy and gliding camerawork of the director’s best work as well as his signature sparse electronic scoring, but it does feel somewhat under-powered. Unlike Cronenberg’s Dead Zone adaptation it still feels like a Carpenter movie, just one that crucially is never scary. It may be an unstoppable implacable killer, but unlike his signature villain Michael Myers, there is nothing particularly frightening about a killer car. Some of the set pieces are well handled though. A repair transformation scene and a fiery Christine stalking her prey are stand outs; the signature visual style and score really take off in these scenes. For a film with a mainly teenage cast it is the old timers who stand out, with great character work from Robert Prosky and Roberts Blossom, although it loses points for casting Harry Dean Stanton in an anonymous bit part as the detective who thinks something is amiss. Gordon acquits himself well but struggles to make himself sympathetic as he turns into a version of the assholes that have plagued him his whole life. Powerhouse are a new label on the block and if this anything to go by, they could soon be giving Arrow and Eureka a run for their money. A sparkly 2K scan that shows off the widescreen compositions and a choice of original and 5:1 sound mix make this the definitive version of this film. The Extras may have been ported over from a previous release, but the director’s commentary with Keith Gordon is well worth a listen. Carpenter is one of the few directors who really knows how to utilise this tool, offering insight and sharp humour. Rounding off you get a detailed 45-minute documentary by the king of the DVD extras Laurent Bouzereau, which gives you an insight into the film's production. 25 minutes of inessential deleted scenes and trailer and TV Spots. You also get the opportunity to listen to the film score only, which for fans should be reason enough to buy in itself. 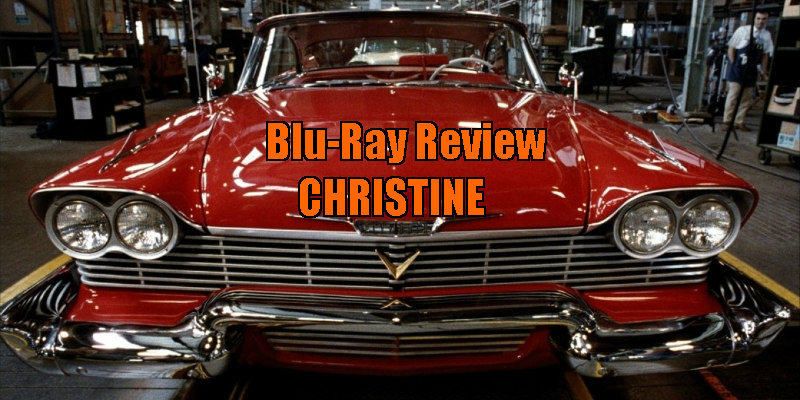 Christine is available on blu-ray now from Powerhouse Films.